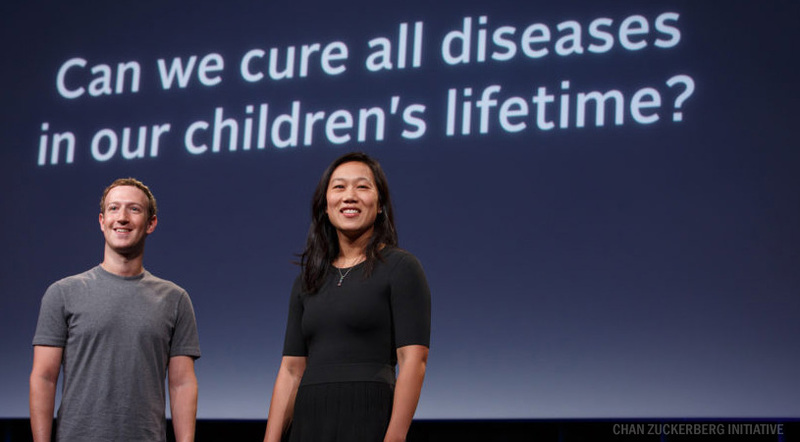 When Priscilla Chan, a physician, and her husband, Facebook chief executive officer Mark Zuckerberg, created the Chan Zuckerberg Initiative, the two pledged $3 billion towards basic science research over the next 10 years. Their ambitious goal is that by the end of the century, all diseases can be cured, prevented or managed. Yesterday, the Initiative’s first big step was announced. Chan and Zuckerberg’s organization pledged $600 million in support of the Chan Zuckerberg Biohub, which will be an independent research center that will coordinate activities between scientists at UCSF, UC Berkeley and Stanford University. This new hub will be located at 499 Illinois Street adjacent to the University of California San Francisco’s Mission Bay campus. Joe DeRisi of UCSF and Stephen Quake of Stanford will lead the center. Peter Kim, formerly the head of Merck Research and currently a professor at Stanford, will head the project’s vaccine development operations. The Chan Zuckerberg Initiative will be headquartered at the hub and be headed by Cori Bargmann, a neuroscientist at Rockefeller University in New York. The Chan Zuckerberg Initiative was originally announced in 2015 shortly after the birth of Chan and Zuckerberg’s first child, daughter Maxima. It has four areas of global focus: personalized learning, curing disease, connecting people and building strong communities. The Chan Zuckerberg Initiative isn’t set up as a nonprofit organization, but as a limited liability (LLC) company. When originally announced, Zuckerberg indicated he planned to give away 99 percent of his Facebook shares through the Initiative over his and Chan’s lifetimes. The LLC structure allows Chan and Zuckerberg to invest in non-profit and for-profit entities. The Initiative’s first investment was in June, and went to a New York-based company, Andela, that trains software developers in Africa. The first project at Biohub will be called a “Cell Atlas,” which is to develop a map of the functions and locations of every cell in the human body. Its second project is the “Infectious Disease Initiatives,” which will develop tools to eliminate infectious diseases. “Everything we develop, every tool, will be available to all scientists everywhere,” said Bargmann in a statement. In addition, the Biohub will offer researchers at the three affiliated universities five-year fellows to work on ambitious, but risky research ideas that might have problems attaining funding through traditional sources.